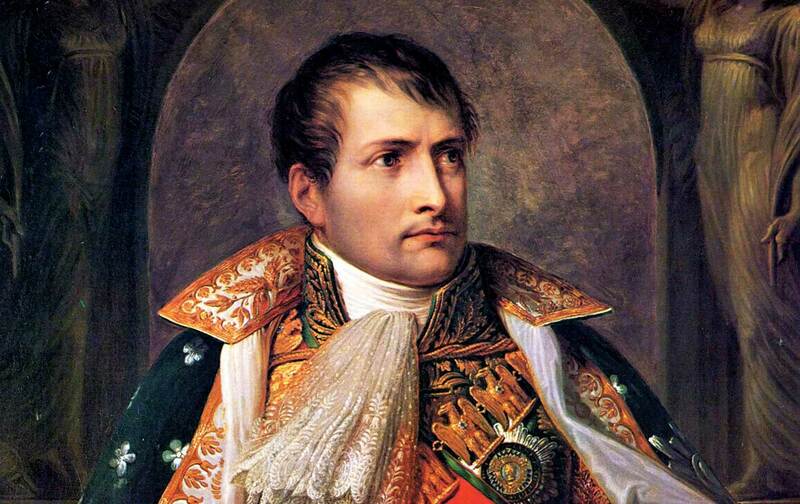 Has the EU followed a path first blazed by Napoleon? In the spring of 1812, on the eve of commanding more than 600,000 soldiers to invade Russia, Napoleon Bonaparte laid out his plans for the future of Europe. “We need,” he told his former police minister, Joseph Fouché, “a European law code, a European high court, a single currency, the same weights and measures, the same laws. I must make all the peoples of Europe into a single people, and Paris, the capital of the world.” The French emperor had not previously expressed such vaulting ambitions, but as his empire swelled, he came to believe he could bring the continent a degree of unity that it had not known since the fall of Rome. After falling from power himself in 1815, he frequently referred back to these ambitions, and lamented his failure to create an enduring European superstate. Living in Britain Through Napoleon’s Wars, 1793–1815. Translated from the French by Steven Rendall. Was Napoleon, and not the shrewd post–World War II diplomat Jean Monnet, the true progenitor of the European Union? Monnet not only led the effort to establish a European Common Market (something Napoleon also envisaged), but hoped its member states would take further steps toward union. Perhaps he was following a path Napoleon had first blazed. And if so, does Napoleon’s legacy help us understand Europe’s present-day problems? Thanks to the long string of anniversaries leading up to the bicentennial of the Battle of Waterloo on June 18, the last few years have been overrun by new publications on the man, his campaigns, his empire, and the resistance against him. The list includes, with properly Napoleonic excess, a dozen full-scale biographies published just since the start of the century. Yet as the most recent contributions show with particular force, it remains surprisingly difficult to assess whether the institutions and style of administration perfected by Napoleon were compatible with significant participation by ordinary citizens, and with the preservation of social and cultural diversity. Given how much of the Napoleonic legacy survives in the European Union today, this is not merely an academic question. Political union was a different matter, but by 1812 Napoleon seemed on his way to resolving that issue as well. Over the previous 16 years, as he rose from a general of the French Republic, to first consul in 1799 and emperor in 1804, his almost unbroken string of victories had enormously swelled France’s borders. His empire now included the Low Countries, Catalonia, large portions of Germany and Italy, and even the Croatian coastline. He had tamed much of the rest of continental Europe into a series of satellite states. French rule provoked violent opposition, but not everywhere. In Spain, for instance, there were fiercely anti-French guerrilla bands (the word first achieved wide currency during this period), but also the Afrancesados (the “Frenchified”), who greeted the rule of Napoleon’s brother Joseph as a release from the obscurantist tyranny of the Roman Catholic Church and degenerate Bourbon monarchs. Of course, Napoleon’s European project did not come to fruition. In 1812, he assembled the largest army yet seen in Europe, and led it to almost total destruction in Russia. Despite valiant efforts, he never recovered, and within three years, his European enemies had sent him into exile on the small South Atlantic island of St. Helena. France shrank to its prerevolutionary borders, and the Bourbon dynasty returned to its throne. Yet Napoleon might at several moments have forestalled this course of events—for instance, if he had managed to smash the Russian army early on in 1812 and forced Czar Alexander I to the negotiating table. In that case, some version of the union he envisaged might have become a reality. It would have been an “enlightened” union, governed according to the principles of rational administration that Napoleon had established in France during the first years of his rule: centralized and bureaucratic, but guaranteeing civic equality to all citizens. It would not have been hugely repressive. Napoleon’s forces did commit widespread atrocities during their counterinsurgency campaigns (especially in Spain), and they also engaged in plunder on a titanic scale—all of which led the British press to denounce him as the “Corsican Ogre,” and the Russian Orthodox Church to call him the Antichrist. But his empire was nothing like the great tyrannies of the 20th century. It had no concentration camps, no massive internal-security apparatus, and relatively few political prisoners. His projected union would hardly have functioned democratically, though. It would have been run by and for the wealthy elites, and would not have given the peasant millions who still constituted the vast majority of the European population very much say in the matter. Britain would have remained apart from it, in permanent opposition. Now consider the situation of Europe today. Its elites may not resemble one another quite so much as they did 200 years ago. Still, they largely watch the same movies and television shows, listen to much of the same music, and even read many of the same books. Thanks to the Erasmus Program, they frequently do part of their university studies in other European countries, and they travel within Europe far more than their predecessors. And from Lisbon to Warsaw, they have a common second language: English. (Some corporations and universities on the continent now function largely in that language.) Europe already has the same weights and measures, and 19 states share the same currency. Political union is, again, a different matter, but in 2015 Europe has moved closer to it than at any time since 1812. There is a European Parliament and high court, a European Council, Central Bank, and many other institutions. Twenty-eight nations belong to the EU, covering a territory much larger than Napoleon’s empire. The EU enjoys popular support in most of these nations. And it is, by the standards of our day, an enlightened union, dedicated to the welfare of its citizens and to the protection of their human rights. At the same time, the EU is widely perceived, for good reasons, as undemocratic. Its Brussels-based bureaucracies operate at several removes from the ordinary citizen, and their dictates, often perceived as arbitrary and unfair, have won them a reputation for unaccountability. The vice president of the European Commission revealingly remarked, after the recent Greek vote: “We don’t change policies depending on elections.” The European Parliament is weak, and its elections often serve as little more than glorified national opinion polls. An attempt to provide Europe with a constitution failed in 2005—and the document in question was less a constitution, as Americans understand the term, than a confusing and unwieldy treaty, some 483 pages long. The members of the eurozone have effectively surrendered much of their sovereignty to a central bank over which they have little control—as Greece and Spain have learned, to their great cost. And once again, Britain remains in part aloof from the rest of the union, refusing to adopt the euro, and with a newly re-elected Conservative government promising a referendum on withdrawal. The parallels between 1812 and 2015 are no coincidence. Napoleon perfected and bequeathed to much of Europe a distinctive style of administration. It is formally meritocratic, but in practice favors men and women groomed from birth to win admission to a small number of elite schools. It tends toward centralization and allows little real input from ordinary citizens. And it functions far less well in practice than in theory. Balzac memorably described the Napoleonic administration as “the nosiest, most meticulous, most scribbling, red-tape mongering, list-making, controlling, verifying, cautious, and finally just the most cleaning-lady of administrations—past, present or future.” The statement applies equally to the EU, and sums up much of what British Euroskeptics find objectionable about the organization. Andrew Roberts is a prominent English Conservative historian, journalist, and Euroskeptic. Several years ago, in an article for the Financial Times titled “Europe’s Hubristic Imperial Overstretch,” he compared the EU to Napoleon in its supposedly overweening ambitions. One might then reasonably expect his new biography of Napoleon to take a sharply critical view of the man. Instead, the book demonstrates one reason that Napoleon’s legacy remains so difficult to grasp. Put simply, the sheer drama of Napoleon’s life, and his extraordinary personal qualities, can shine so dazzlingly that all the surrounding context comes to look pale and insignificant in comparison. To writers dazzled in this manner, Napoleon properly belongs in the company of Alexander and Julius Caesar, not Brussels bureaucrats. Roberts has been thoroughly dazzled. (Even the title of the British edition of his book, Napoleon the Great, understates his enthusiasms.) He quotes the French writer Chateaubriand with evident approval: Napoleon was “the mightiest breath that ever animated human clay.” He praises Napoleon’s “protean energy, grand purpose, literary talent, near-perfect recall, superb timing, inspiring leadership.” He marvels at the drive and genius that allowed an unknown member of the Corsican gentry to become arguably the greatest general in French history by age 28, the ruler of France by 30, and the greatest conqueror since the Caesars by 40. Roberts notes that Napoleon won 53 of the 60 major battles he fought—a record few military leaders in history have matched. A seasoned military historian, Roberts dwells lovingly on these battles and visited 53 of the battlefields himself while researching the book. In the crowded field of Napoleon biographies, Roberts bases his claims to originality on these visits, and on his use of the new, definitive edition of Napoleon’s correspondence that has appeared in France. The former certainly allows him to describe the battles with confidence and verve, but his interpretations of Napoleon’s strategy and tactics do not actually differ much from earlier accounts. As for the correspondence, most of it was already easily available. We didn’t need the new edition to recognize Napoleon as “one of the most unrelenting micromanagers in history”—although Roberts has gleaned the revealing detail that, soon after entering Moscow in 1812 and with a vast army and conquered territory to manage, the emperor sat down to dictate complex new regulations for the Comédie-Française. Roberts relies heavily on English-language sources and makes the occasional misstep in French history, as when he attributes a wife and daughter to the celibate Maximilien Robespierre, or suggests that the French Bourbon dynasty died out in 1836 (it didn’t). Readers interested in an exceptionally lively, up-to-date biography that highlights Napoleon’s character and military career will still find themselves satisfied. Roberts describes with enviable clarity Napoleon’s key military innovations, such as his use of a chief of staff, or his division of armies into intensively trained corps of 20,000 to 30,000 men who could maneuver independently of one another. (Both quickly became standard in Western militaries.) He makes the counterintuitive but entirely persuasive point that the army Napoleon led into Russia was too large. Had it been smaller, it might have tempted the Russians into a decisive battle, which Napoleon could well have won. Instead, the Russians stuck to their long-planned strategy of a scorched-earth retreat that ultimately doomed the invaders. Roberts also lauds Napoleon’s extraordinary rapport with ordinary soldiers, and he has a vivid and affecting vignette of the emperor breaking into tears after the ghastly Battle of Eylau in 1807, when he could not avoid riding his horse over the half-frozen French corpses. Though her book runs to inordinate length—a feature all too common in works on the Napoleonic period—Uglow has filled it with piquant details: for example, the French prisoner of war, kept captive on a fetid prison ship, who whittled a model guillotine out of bone and sold it to an English visitor. She amusingly recounts an abortive French landing in Wales in 1797, in which a handful of French troops mistook women in red cloaks for red-coated soldiers and immediately surrendered to them. But in general, there was nothing comic about these wars. Napoleon assembled a vast invasion army in 1803 and ‘04, and when naval failures made it impossible for him to cross the English Channel, he attempted to cut off the European trade upon which Britain depended for its economic survival. With his conquests on land seemingly unstoppable, Britain found itself in a desperate position. As William Wordsworth wrote in 1806: “Another year!—another deadly blow! / Another mighty Empire overthrown! / And we are left, or shall be left, alone; / The last that dare to struggle with the Foe.” Ordinary Britons felt the same sense of peril. And, arguably, a distant echo of it still lingers across the British political landscape today—particularly with the bicentennial approaching of Britain’s final victory over Napoleon at Waterloo—bolstering Euroskepticism and the popularity of Nigel Farage’s UK Independence Party. Until last year, French writers had contributed surprisingly little to the torrent of Bonaparte bicentennial biographies. Before Roberts, the most notable entries came from the Australian Philip Dwyer (two volumes, starting in 2007) and the American Steven Englund (one volume, in 2004). Dwyer wrote particularly well about the way Napoleon shaped his own mythology. Englund’s book featured brilliantly pyrotechnic prose and a keen appreciation of Napoleon’s political instincts. Oxford’s Michael Broers has written yet another study, the first volume of which will appear in the United States next fall, called Soldier of Destiny. (Clearly, Napoleon has dazzled him too.) In France, by contrast, until the new study by Patrice Gueniffey, the last serious Napoleon biography appeared nearly 40 years ago. Historical biography as a genre has not fared well in France for even longer than that. The “Annales” school, which dominated the study of history in the country for much of the 20th century, had a preference for quantitative analysis and social-scientific models, and disdained the study of single lives as “insufficiently” rigorous and overly literary. Annales has since lost much of its luster, but the suspicion of biography has endured. Even François Furet, the great liberal scholar of the French Revolution who passionately advocated a “philosophical” approach to history centered on great political thinkers and actors, never wrote a biography. At his premature death in 1997, however, he was researching one—about Bonaparte. Gueniffey was Furet’s student and is his successor at the elite École des Hautes Études. In 2007, he gave a lecture in Paris speculating on how Furet might have written the biography of Napoleon, had he lived. Six years later, he published, in French, a volume that followed his speculation so closely that it amounts, at least in part, to a work of filial homage. Bonaparte, which has now appeared in English translation, takes the life up to 1802—the moment when its subject, already the absolute ruler of France, formally took the title of consul for life and effectively became a monarch. (The actual imperial crown followed two years later.) A second volume, to be called Napoleon, is still being written. While the English-speaking biographers have often been dazzled by Napoleon, Gueniffey, the Frenchman, has not. He expresses cool admiration, but never lapses into breathless adulation. He is a writer of real talent, who can set the scene exquisitely, as in this description (beautifully translated by Steven Rendall) of an Egyptian landscape through which Napoleon marched in 1798: “On this mineral, petrified ‘ocean of solid ground,’ on this dead land, the horizon was indeterminate, vague, floating, drowned in hot vapor or in clouds of dust raised by the wind.” But Gueniffey’s style in general tends toward imperious detachment, while pursuing lines of argument so subtle and complex that readers can easily lose their threads. This is not the only reason English-speaking readers in particular may find Bonaparte frustrating. Gueniffey takes for granted a deep knowledge of the French Revolution, of early 19th-century literature, and indeed of the principal events of Napoleon’s life. Parts of the book read less like a biography than a set of dialogues about Napoleon with a series of long-dead French writers, including Chateaubriand, Tocqueville, Taine, Sainte-Beuve, and Jacques Bainville, a founder of the deeply reactionary, anti-Semitic Action Française. Gueniffey’s mentor Furet believed that historical scholarship advances less through the accumulation of new information, or through the application of new theories to masses of data, than through studious reconceptualization that draws heavily on the insights of classic older writers. Gueniffey has made the method his own. Despite his book’s enormous size—its 1,000 pages just barely cover the first half of Napoleon’s career—he has consulted virtually no original manuscript sources. Instead, he weighs his venerable interlocutors against one another, corrects them with a certain degree of condescension (“Tocqueville’s analysis is not wrong in every respect”), and quotes them at luxurious length. Those readers who persevere will find that Gueniffey has nonetheless written an important book. He has read imposing masses of material and absorbed the best recent scholarship (even if he gives it far less acknowledgment than his older interlocutors). The book is exhaustive, scrupulously accurate, and firmly persuasive, for the most part, on the individual stages of Napoleon’s career. It is likely to stand as the definitive biography for quite some time. Yet Gueniffey’s choice of what to emphasize, and his deeply conservative overall interpretation, ultimately lead him, like Roberts, to fall short in illuminating Napoleon’s legacy for the present. Unlike Roberts, Gueniffey has relatively little interest in Napoleon’s character and private life. He does engage in some brief psychological speculation about the young Napoleon’s conflicted feelings toward his father, Carlo, whom he scorned for abandoning the cause of Corsican independence (before he abandoned it himself during the French Revolution). But Gueniffey quickly moves on with a dismissive remark: “Of course, none of all this explains his extraordinary history.” In fact, Gueniffey treats Napoleon’s Corsican origins with a Parisian contempt that will earn him no friends on the island. He chides the Bonaparte family for its “boundless greed” and speaks without irony of Corsica’s “half-savage state” in the 18th century. Gueniffey has more sympathy for Napoleon’s aristocratic wife, Joséphine, and devotes sensitive pages to the pair’s turbulent marriage. But Gueniffey’s real passion, like Furet’s before him, is politics. He wants to understand how abstract political principles could be given concrete and durable form in institutions of the sort Napoleon created. He wants to grasp how the relationship between the French state and French society changed over time. And he wants to know why one of the Western world’s grandest experiments in utopian democracy, the French Revolution, gave way so quickly to Napoleon’s authoritarian rule. Despite the prodigious learning that has gone into Bonaparte, these are unconvincing claims, which echo all too closely the justifications Napoleon himself gave for his actions. They disregard considerable recent research showing that the Directory, for all its instability and chaos, maintained a vibrant and creative political life until the end. The regime made important advances in educational and social-welfare policy, and imaginatively sought to reconcile republicanism with the realities of modern commercial society. Gueniffey also treats Napoleon’s violent seizure of power, on 18 and 19 Brumaire by the French revolutionary calendar (November 9 and 10, 1799), as tantamount to what he called, in his 2007 lecture and only half in jest, “a slightly rushed election.” True, the new Constitution that Napoleon introduced a few months after Brumaire won approval in a plebiscite, as did the 1802 revision to that Constitution that made him consul for life. (He won genuine majorities, even if his officials then cheated to make the results look almost unanimous.) But plebiscites held by an autocratic ruler—whose soldiers had literally dispersed elected representatives at bayonet point, who arrested political opponents and introduced harsh press censorship—hardly count as free elections. Napoleon himself once remarked, revealingly: “Controlled by the government, a free press may become a strong ally.” This was less the “marriage of authority and liberty” than the burial of one by the other. If the French still admire Bonaparte today, it is above all for the enduring legal and administrative reforms he accomplished during the initial years of his rule. His streamlined law code did indeed enshrine the principle of civic equality. His Concordat with the Catholic Church restored religious peace after years of revolutionary tumult, while guaranteeing possession of seized church lands to their new owners. Napoleon introduced a degree of administrative centralization, and he perfected the system of elite training schools and corps for high civil servants. The effects of these reforms are still apparent today, not only in France but throughout the European Union and its institutions. The challenge for the EU is how to reconcile institutions originally designed for autocratic government with democratic practices and aspirations. This is not a challenge that ever concerned Napoleon Bonaparte. Gueniffey quotes him, damningly, from even before the coup of 18 Brumaire: “A Republic of thirty million men!… With our manners, our vices! How is it possible? That is a fancy of which the French are at present full, but it will pass away like all the others. What they want is Glory and gratified Vanity; but as for Liberty, they do not understand what it means.” Once in power, despite the plebiscites, he based his legitimacy on his military victories more than on popular consent, admitting that “my power depends on my glory…conquest alone can maintain me.” And so he condemned his country, already exhausted by seven years of brutal warfare when he took power, to another decade and a half of the same. It cost millions of Europeans their lives and left France broken and defeated. But could things have turned out otherwise? Were the institutions and administrative style perfected by Napoleon ultimately compatible with the practices of representative democracy? The European Union is, of course, not a dictatorial regime like Napoleon’s empire (whatever Andrew Roberts used to think). But its inheritance from Napoleon is by no means negligible, and it remains severely challenged by the problem of how to forge European unity while allowing for significant participation by ordinary citizens, including especially those from outside the social elites. Perhaps Gueniffey will do more to explore these continuities and challenges in the second volume of his biography. But for the moment, he has done less than he might have done to elucidate the legacy of his endlessly fascinating subject.